Sarah chose a fabulous Amanda Wyatt dress complete with a swinging, swishy skirt and beautifully encrusted sparkle around the neckline. Just perfect – for dancing! You can see from Sarah’s beautiful photos just how much fun she is. GK Photography and Menzies Photography did an amazing job of capturing the couple’s fun personality and their love for each other. Sarah and Scott got married at Ashley Baptist Church in the village of Ashley, Hampshire and their wonderful reception was held at Deans Court in Wimbourne, Dorset. Sarah’s beautiful flowers were created by Kelly-Marie Burdekin of Kintala Flowers, Dorset whose floral designs use only home grown, British and ethically sourced flowers and ecological floristry techniques. “A dream was fulfilled last week when I got to go to the countryside, talk about my wedding and try on wedding dresses in a barn! I also found ‘the dress’ in this beautiful boutique. Sass and Grace is in the most perfect setting. When looking for a place to try on wedding dresses, I was very particular about where I wanted to go. I am quite self conscious and was very nervous about trying on dresses, so I didn’t want to go to a high street boutique and feel the pressure of the public walking around on the street outside. Then, I came across Sass and Grace when searching for a perfect place to look for a dress. I booked an appointment and drove to East Stratton, where the boutique is based, and it was surrounded by fields; it was such a tranquil atmosphere and I felt very comfortable being there. My Mum and I were greeted by Sam, the Director of Sass and Grace, who was amazing from the moment we sat down to discuss who I am as a person, what my wedding to Scott is going to be like and what styles I am interested in. We chose about 7 dresses, including one that I was particularly keen to try on after seeing that Sass and Grace where a stockist of it. 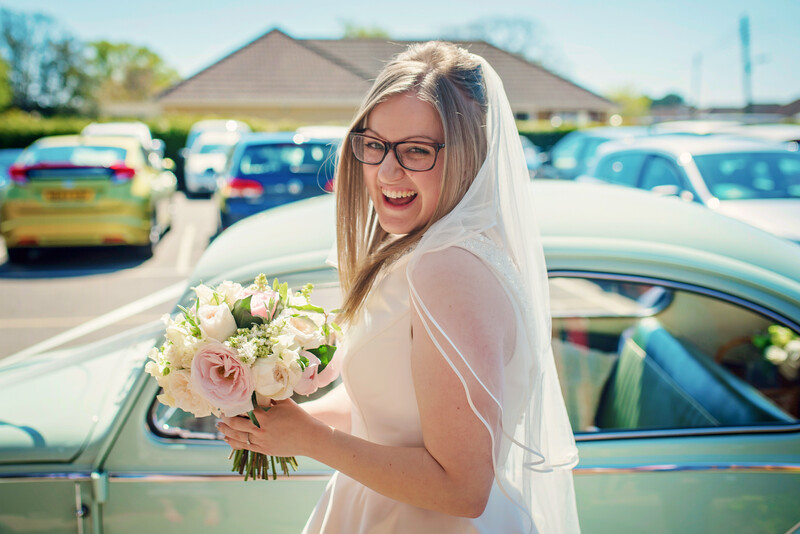 Sam helped me to feel very at ease with the whole process, offering additions such as veils and veil toppers to accompany different dresses and I really got an idea about what I wanted to look and feel like on the day. I was nervous that a salesperson would be obtrusive and that I’d feel uncomfortable around them. However, this couldn’t have been more wrong! It felt like Sam was a very knowledgeable bridesmaid and I felt comfortable with her straight away. I then chose ‘THE DRESS!’ and ended up skipping and dancing in the barn – so excited that I’d actually found one that I adore. Congratulations Mr & Mrs Rushby!